iittala released this modern white and red cased Aalto vase to celebrate the 70th anniversary of the historical and timeless Aalto vase. 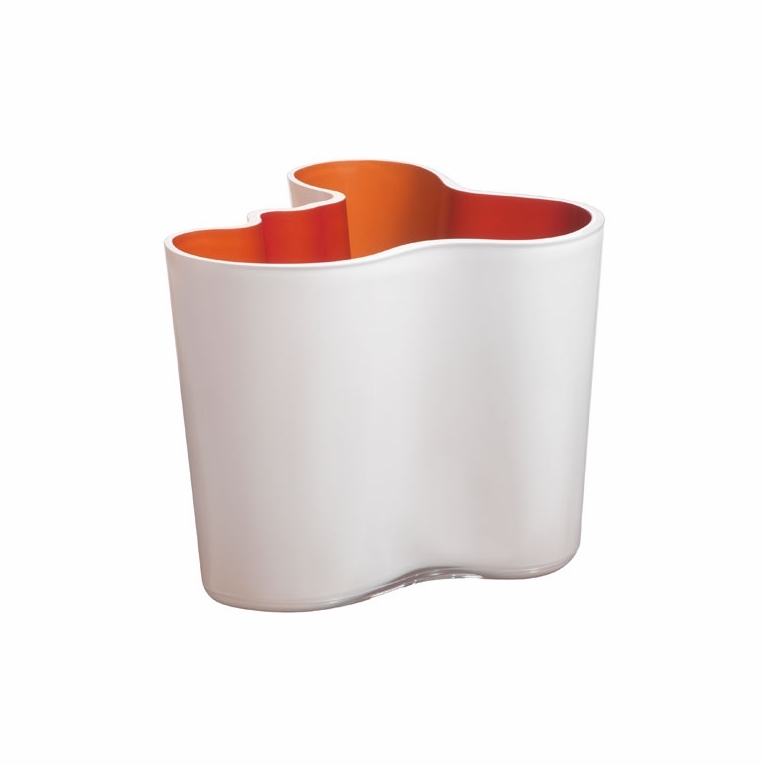 This modern glass vase brings out the inner and outer shapes of the Aalto vase in a very remarkable way. The outside of the vase is a white (opal) glass and inside is cased with a difficult-to-manufacture red that shines gloriously in the light. The dual colored vase in red is truly a sight to behold.